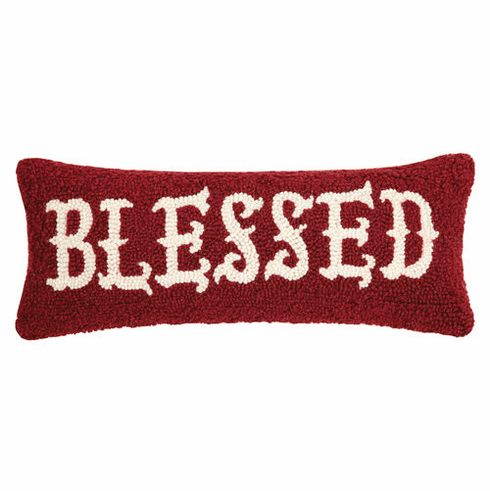 Blessed accent pillow reminds us that...yes indeed we are Blessed. Studies continue to show how gratitude leads to happiness and this is a wonderful reminder to be grateful for all the blessings we have. Blessed hook accent pillow measures 8 x 20"